Purchasing a Lancair as a second owner can be a fantastic opportunity. After all, you get to own and fly a very impressive and fast airplane, and those of us who prefer flying to building don't have to suffer through the headaches of a lengthy build process. However, because Lancairs are "homebuilt" airplanes with challenging flight characteristics, anyone buying an already finished and flying Lancair needs to be well informed and methodical through the buying process, and committed to following through with what is required to safely fly a Lancair. I long admired the beauty and performance of Lancairs. My opportunity to own one came when a work colleague decided to sell his Lancair IVP after purchasing a Mitsubishi MU2. I understood the cost of owning a Lancair from watching my colleague’s experience, but I probably didn't understand sufficiently what it meant to maintain a Lancair or what was required to safely transition into flying a Lancair. In this article, I'll share what I learned. Lancair's various models have different capabilities and performance characteristics. It’s important to understand your typical mission and match the model with what best suits your needs. In some cases, with the smaller models make sure you can comfortably fit with your gear for your typical flight. Talking with pilots who have experience with Lancairs will quickly help you identify the model that's right for you. Finding the model you want for sale is usually pretty straightforward through all the usual sources, including the Lancair community. But like any airplane purchase, finding the model you want is the easy part—the hard part is making sure it is airworthy and capable of giving you the performance and longevity you want. Let's assume you are looking for a Lancair to fly, not a fixer-upper. The pre-buy inspection is critical. This includes both the ground inspection and flight test. The quality of flying Lancairs varies enormously. Some are meticulously built to the highest standards and others—well, less so. Like most things in life, you get what you pay for. A price that seems too good to believe typically means more expense down the road, and perhaps questionable airworthiness. The plane should be carefully and thoroughly examined by someone with substantial experience building and/or maintaining Lancairs. A highly qualified and trusted mechanic is not sufficient—they must have experience with Lancairs in order to understand what to look for in this unique airplane. Personally, I would go so far as having a full annual condition inspection performed. If you end up buying the plane, then you are good to go for the next year. If not, you will need to agree in advance with the seller how the cost of the inspection (and fixing identified problems) will be handled. Since the Lancair community is relatively small, you can usually learn the plane’s history by asking questions and seeking advice of other Lancair pilots and builders, and by contacting Lancair International. As for a preliminary flight, you will need to judge for yourself whether you feel comfortable hopping in the plane for a test flight (assuming the seller is flying) based on the pilot's experience and the condition of the airplane. But for a real test flight, I recommend you retain an experienced Lancair test pilot. Each Lancair will have its own flight characteristics, and most of us are not qualified to pilot the first flight in an unknown Lancair. An experienced Lancair test pilot will conduct a careful inspection to satisfy themselves of the plane's airworthiness before flying. I Bought the Plane - Now What? Congratulations if you successfully purchased a well-made, airworthy Lancair. Be sure and register your new plane with Lancair International. It helps them maintain accurate fleet statistics, which in turn helps them keep you updated on things you need to know about your airplane. That's just the beginning. 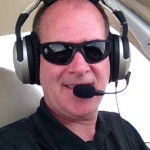 You MUST be properly trained to fly your new airplane regardless of your prior experience. Experienced pilots have killed themselves—and others—by (over) confidently losing control of their new airplane. These are demanding high-performance airplanes which require specific training for your model. If well-made and flown by a well-trained pilot they are safe and wonderful flying machines. LOBO has established a transition training program. Hire an experienced Lancair instructor (LOBO maintains a list on our website) and complete this training before attempting to fly on your own. Statistics show your chances of having an accident are dramatically reduced after completing model-specific training. Once you own and have been properly trained to fly your Lancair, then you need to keep it well maintained. Let's assume, like me, other than minor maintenance you look for a professional to maintain and inspect your plane. A lot of standard engine and avionics work and maintenance can be done by a qualified shop with appropriate experience. However, for airframe maintenance and inspection I highly recommend using a shop experienced with your model of Lancair. Although these shops may be less conveniently located, I’ve found that in the long run you will get better, more targeted and comprehensive service and assurance your plane continues to be safe and airworthy. As a second owner you are unlikely to know as much about the plane as the builder. An experienced Lancair shop can help you learn the details of your plane, including information about what to watch out for and how to perform routine maintenance yourself. LOBO provides a wealth of information about flying and maintaining Lancairs on its website and in its newsletters. Participation in LOBO-sponsored events like the annual LOBO AirVenture Banquet and the annual LOBO/Lancair Landing—this year in Santa Fe—are great opportunities to meet other Lancair pilots and builders, learn from their experience, get advice and support and meet qualified shops and venders. If you aren't a member of LOBO, I strongly encourage you to join and participate in these events; doing so will make you a better, safer Lancair pilot and owner.